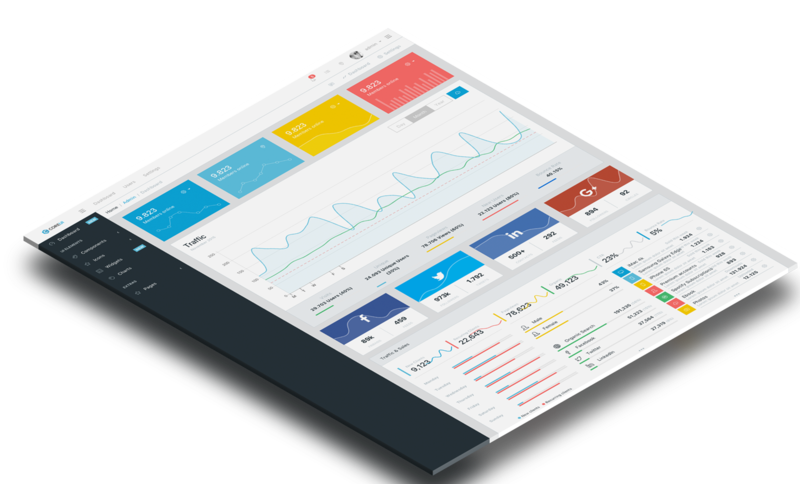 The only Bootstrap Admin Template you need to create amazing user interfaces. CoreUI is an open source Bootstrap 4 based admin template. 50+ ready to use and customizable UI Components. Speed up development time by up to 50%. A perfect starting point for all modern applications. A project based on jQuery and HTML5. This version will simplify any integration with many other popular frameworks on the web. AJAX version uses robust scripts to lazyload pages and plugins – it acts as a single page app. Never refresh your browser again!